Kaihua Box Heavy Pale Blue switches have a heavier spring than Box Whites and a normal click bar. 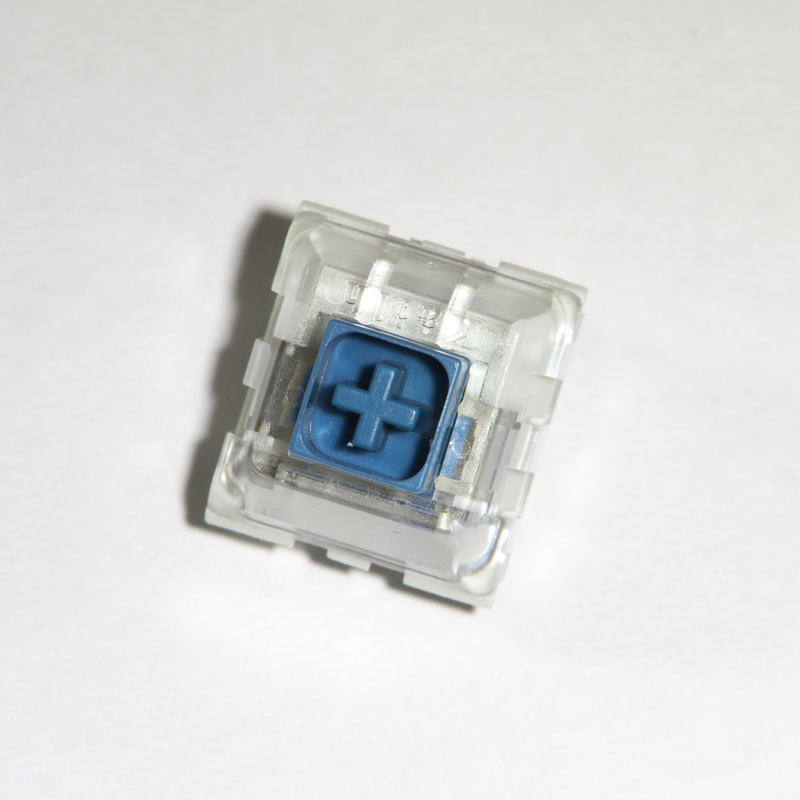 They are the most balanced Kaihua Box clicky switch in terms of tactility due to decreased upstroke force drop off. The click bar makes a sharp, moderately loud sound when actuated. Click bar downstroke “tocks” are followed by higher pitched upstroke ticks. The switch does emanate some rasping sounds from its contacts, though the offending noise is completely obscured by rapid typing. Box Heavy Pale Blues aren’t as loud as Navy or Jade switches, but they come close in terms of sound refinement. Their smaller click bars lead to a weaker and slightly higher pitched click. Most users state that click bars sound better than MX Blue style click mechanisms. Click bar size directly affects tactility. These switches, unlike tactile-only box switches, feel precisely how their graph looks. A cushy bottom out, likely due to reduced tactility, lessens the “punch through the table” feel found in Jade and Navy switches. Box Heavy Pale switches support floating typists in that regard, which is rare in modern clicky models. Box Heavy Pale Blues implement all general switch improvements from their series. Per switch drainage, isolated contacts, and reduced stem wobble contribute to a solid platform.